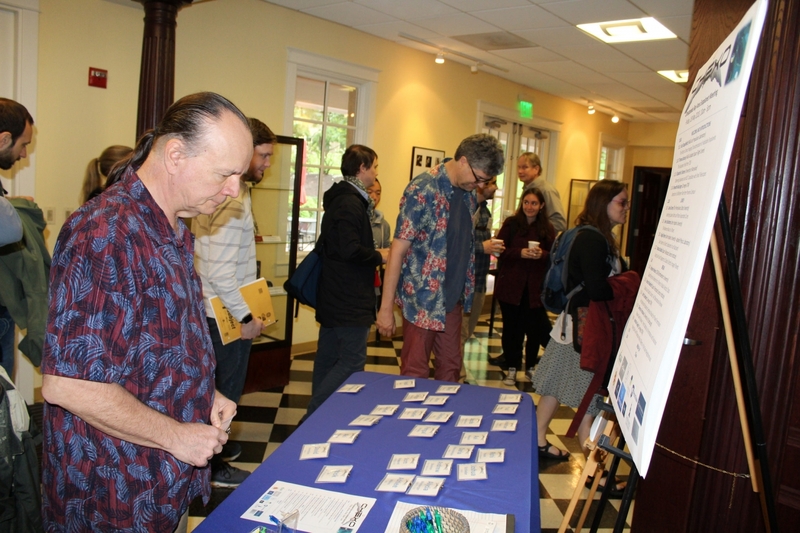 The Department of Terrestrial Magnetism hosted this year's second Chesapeake Bay Area Exoplanet (CHEXO) meeting at the Carnegie Broad Branch Road Campus in Washington, DC on Friday May 18, 2018. 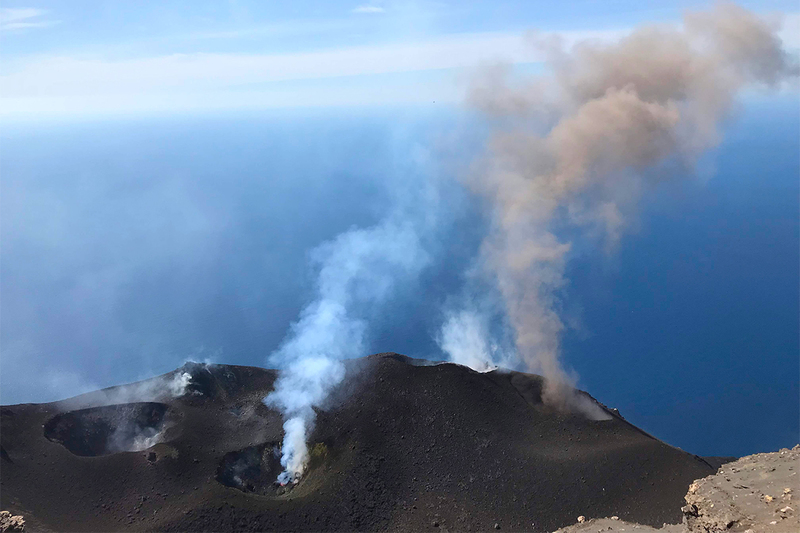 At the summit vent area of Stromboli Volcano, five active vents are intermittently producing ash plumes, bombs or degassing. Picture by Hélène Le Mével, DTM. Read more. 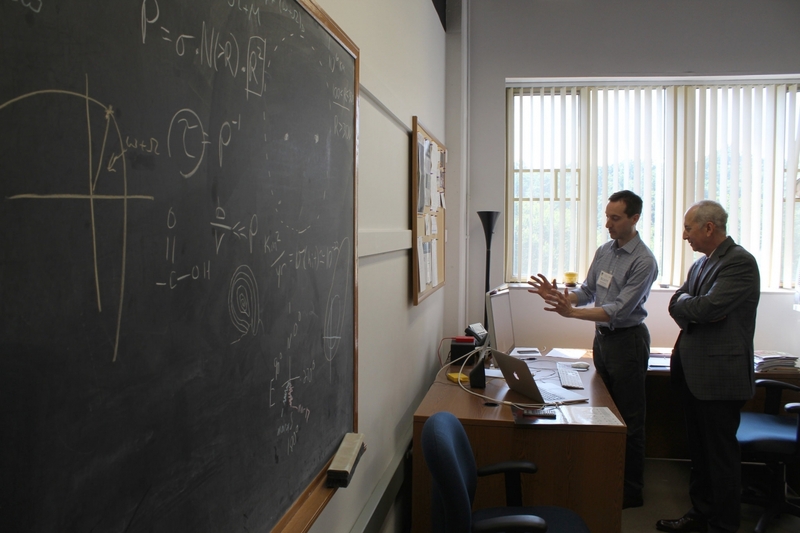 Dr. Eric D. Isaacs, who began his tenure as the 11th president of the Carnegie Institution for Science on July 2, 2018, visited with the staff of the Institution’s Department of Terrestrial Magnetism on July 11, 2018. Photo: Roberto Molar Candanosa, DTM. 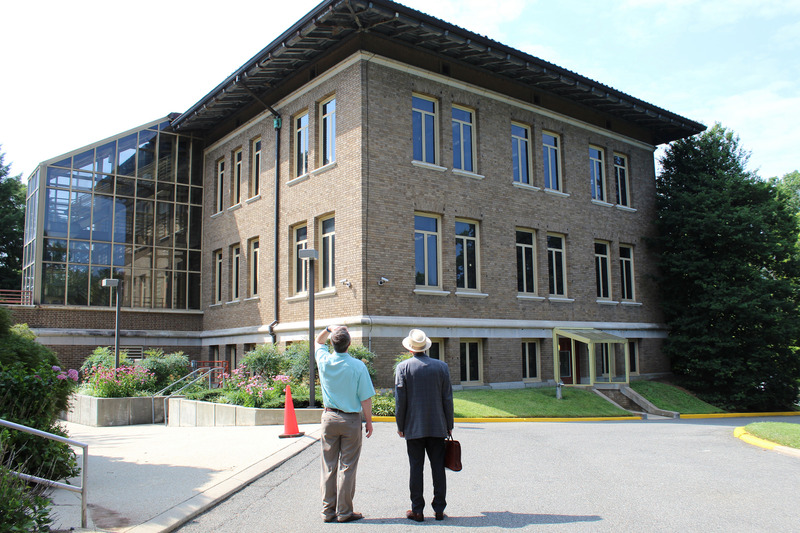 DTM Director Rick Carlson (left) and Carnegie President Eric D. Isaacs at the Institution's Broad Branch Road campus, July 11, 2018. Photo by Roberto Molar Candanosa, DTM. 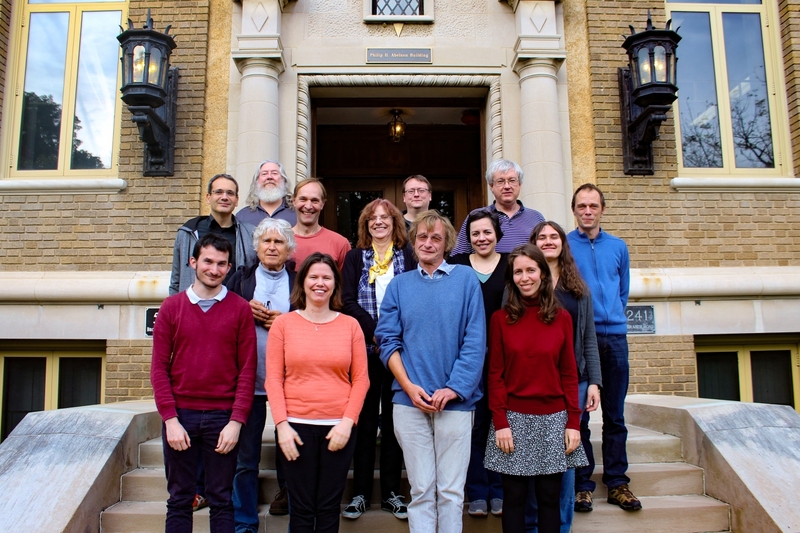 DTM hosted the COSIMA team meeting on October 23-26 at Carnegie's Broad Branch Road Campus. The COSIMA instrument is a mass spectrometer that was on board the Rosetta orbiter performing in situ analysis of the composition of particles ejected by comet 67P/Churyumov-Gerasimenko. Although the Rosetta mission ended in 2016, the COSIMA team continues to meet twice a year to discuss the cometary data and the calibration work done on the COSIMA reference model at the Max Planck Institute for Solar System Research in Germany. 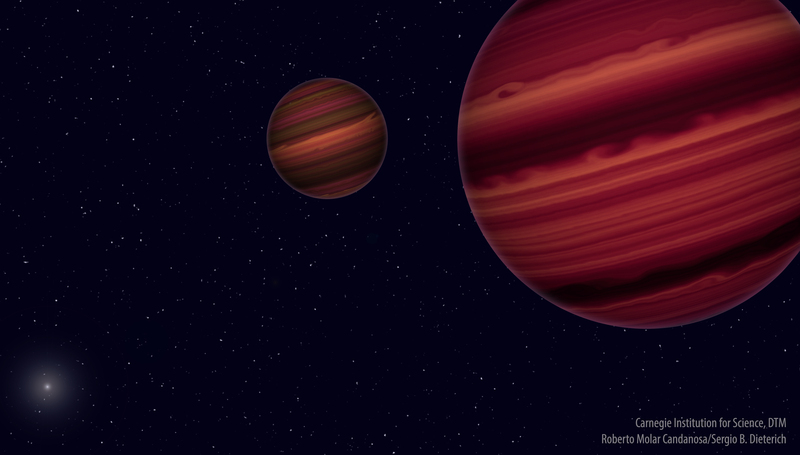 Artist's conception of the Epsilon Indi system. The two brown dwarfs orbit their common center of mass, which in turn orbits the much more distant primary component, a Sun-like star. By mapping the orbital motion of the brown dwarfs, the team was able to determine their masses. Much like our Solar System's giant planets, brown dwarfs are thought to have cloud belts that encircle the entire object and give it a striped appearance. Illustration by Roberto Molar Candanosa and Sergio Dieterich, DTM.